Godiva Festival’s battle of the bands-style competition is back and offering local musicians the chance to perform on one of Godiva Festival’s stages. 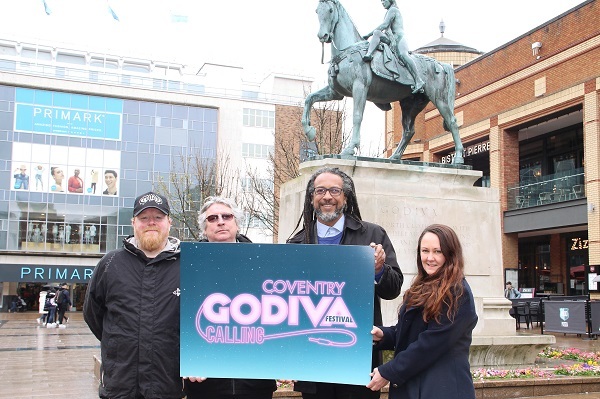 Godiva Calling is back for 2019 and bands or solo artists with a Coventry postcode are eligible to apply. The heats are divided into six categories, Indie Rock, Urban, Alternative, Heavy Rock/Metal, Singer/Songwriter/Acoustic and Under 18s. Winners from each category will be awarded a slot to perform on one of the Godiva Festival’s stages. Heats for the competition will take place at five venues across the city in May; the New Albany Pub, Millsy’s, the West Indian Centre, The Tin Music & Arts and The Arches. Anyone who is interested in taking part can head to www.godivafestival.com/godivacalling to register to take part in the heats.